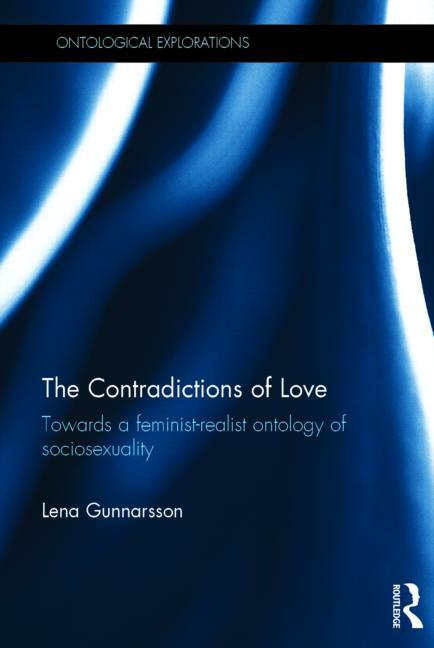 The Contradictions of Love: Towards a feminist-realist ontology of sociosexuality offers a robust and multifaceted theoretical account of how, in contemporary western societies, women continue to be subordinated to men through sexual love. The book defends and elaborates Anna G. Jónasdóttir’s thesis that men tend to exploit women of their ‘love power’, by means of an innovative application of critical realism, dialectical critical realism and the philosophy of metaReality. Gunnarson also offers a critique of the state of affairs of contemporary feminist theory. way of bridging the gap between the notion of love as a locus of exploitation and that of love as a force which can conquer oppression.